How do you stir a sleeping giant? That depends on who or what the giant is. If it’s a grizzly bear, you don’t! It’s best to let those kind of sleeping giants lie. But what if the giant is the Christian church?! The author of a religious article recently said that the church is a “giant” because there are hundreds of millions of believers all over the world. They are accurate in assessing that the church is a sleeping giant, because only a small percentage of its members are regularly engaged in its work. 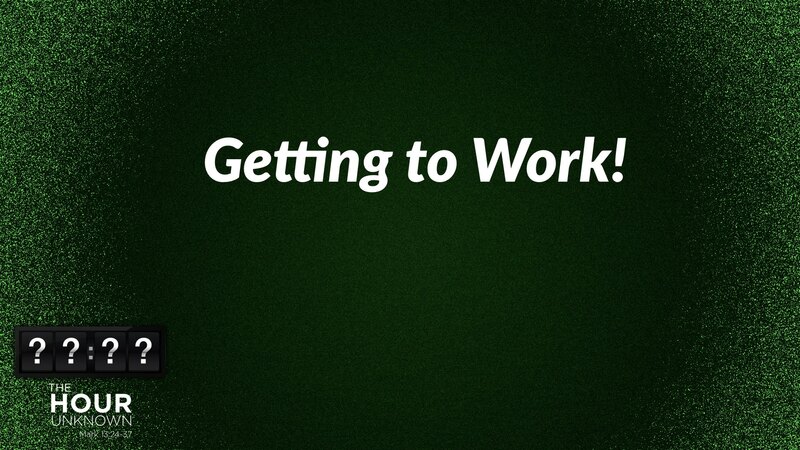 One study discovered that 85% percent of the church’s work is done by less than 15% of its members. So, how would you wake a sleeping giantlike that? Can you offer some practical suggestions about how we can mobilize the two Million members of our Missouri Synod? 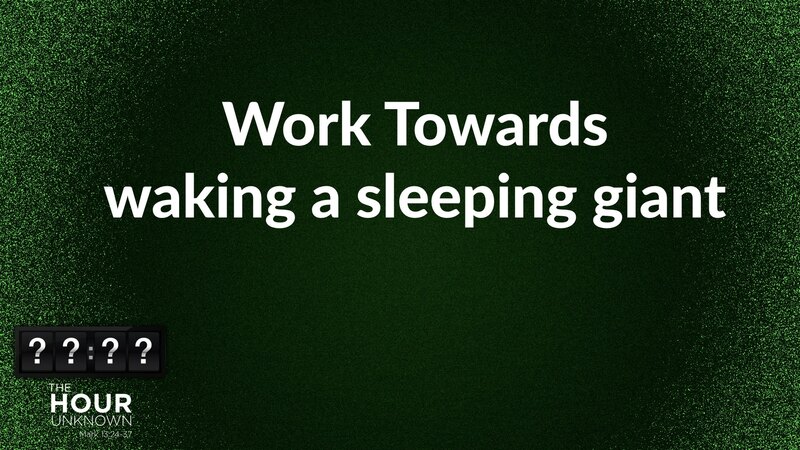 Can you tell us ways to get more, even, all our members involved in the Lord’s work? 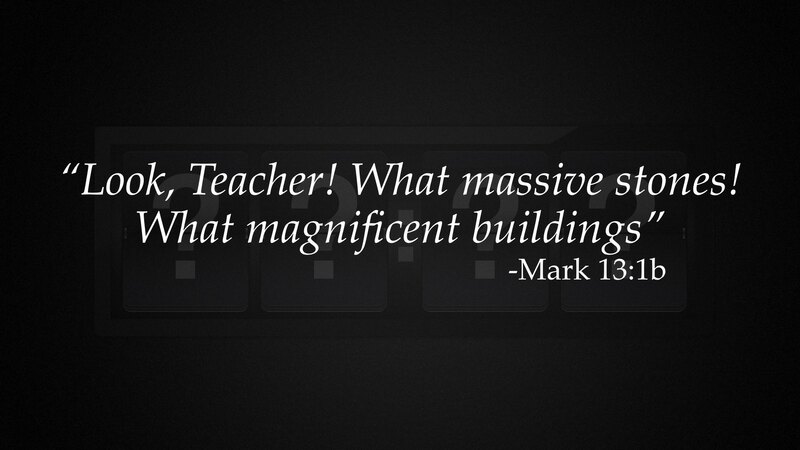 That’s exactly what Jesus focuses on in our lesson today. 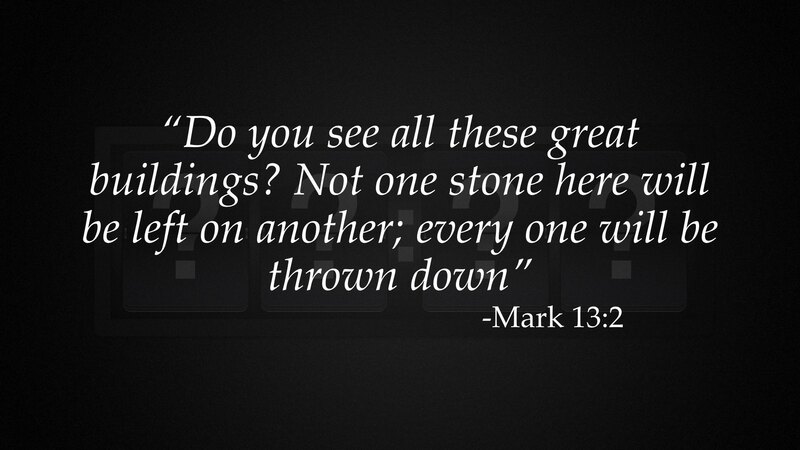 Jesus is talking to his disciples shortly before his death and his intent is to stir up his church. He wants us to get to work! Go to a Christian bookstore and look at the section on End Times. 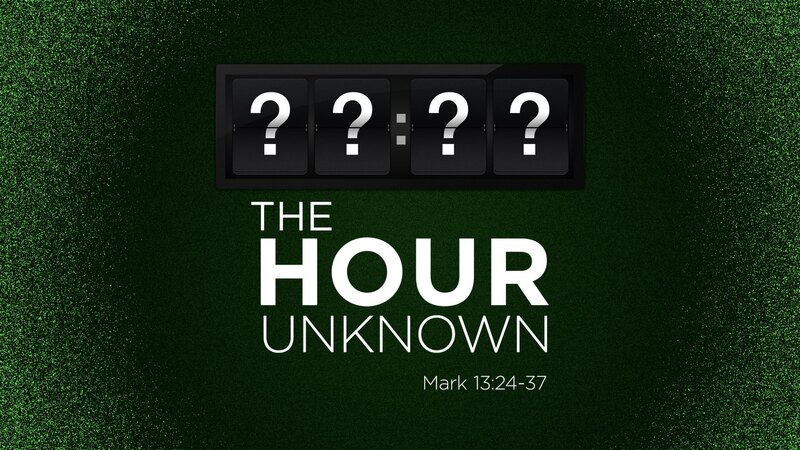 You’ll find plenty of books by Hal Lindsey, Josh McDowell, and others that often offer a complete “timetable” for the end of the world. What does Jesus think about that? “Don’t believe them,” He tells us. 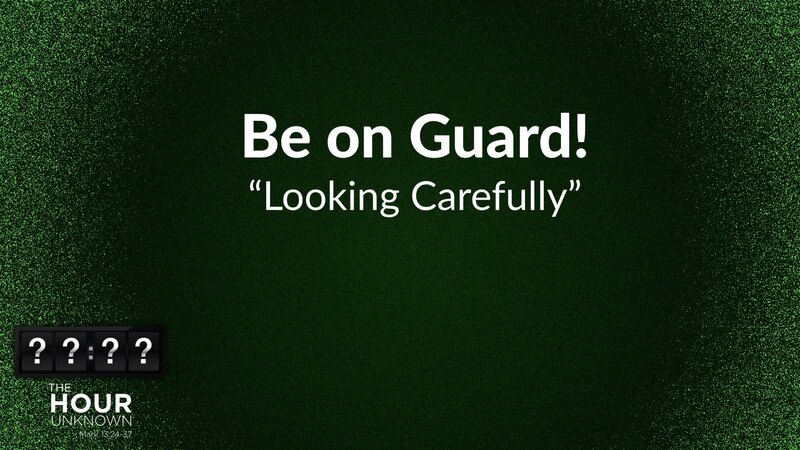 When Jesus said, “Be on guard!” He actually used one Greek word that means “looking carefully”. 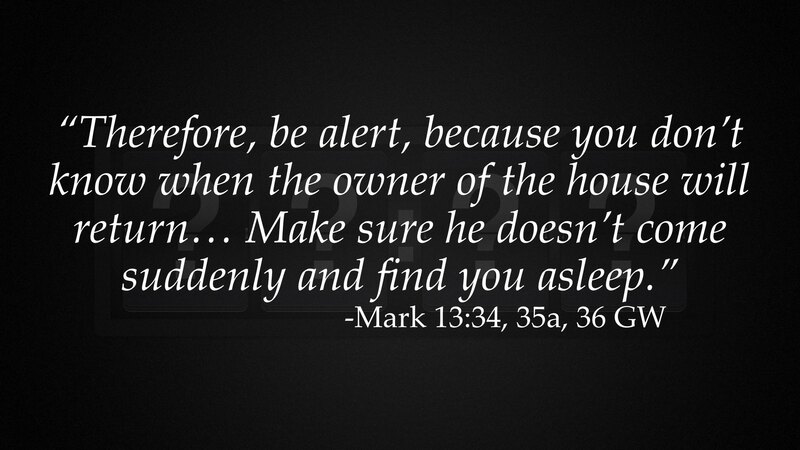 Jesus also tells us to, “Be alert!” That Greek word carries the idea of “chasing away sleep”. It’s what you do when you’re feeling sleepy on a long road trip. You roll the windows down, even in below freezing weather, you crank the radio, you guzzle coffee (of course that has other effects as well), even pinch yourself. You'll do anything to keep from falling asleep and driving off the road. We may know how to look carefully before crossing a street or stay awake while driving, but what does it mean to do those things in preparation for Jesus’s return? It means spending time in God’s Word to learn how He wants us to live. Jesus makes it clear that he has given each one of us the authority and responsibility to be actively involved in the operation of the church until He returns. “So what activities are we talking about, Pastor?” We’re talking about teaching, encouraging, leading, praying and caring for this property. Those things prepare us to do that most important tasks that Jesus has sent us to accomplish: witnessing, and sharing His love outside of our church. 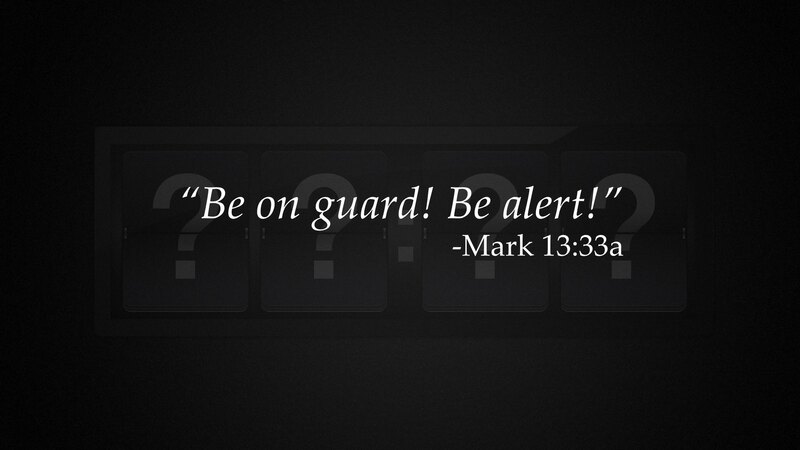 Did you notice how the master in Jesus’s parable gave special instructions to the doorkeeper to keep watch? 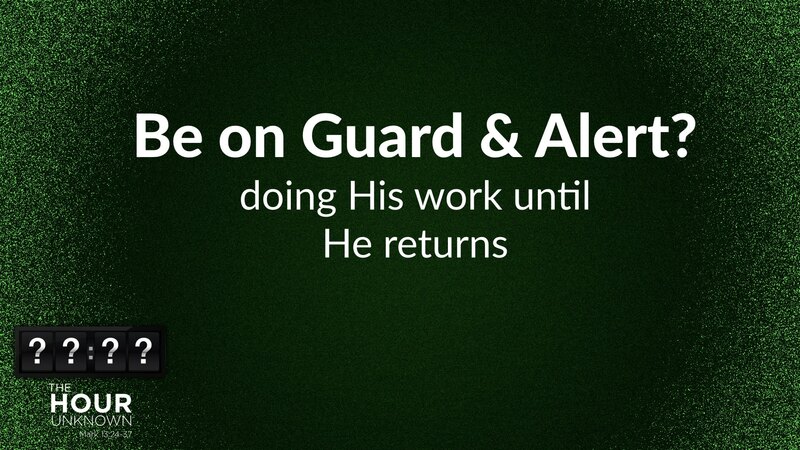 The doorkeeper not only is to remain alert himself, he has the added responsibility of making sure the other servants stay alert and stay busy with the task that has been assigned them. That’s my job! And it’s also the responsibility of our elders and anyone who teaches, or leads a board. 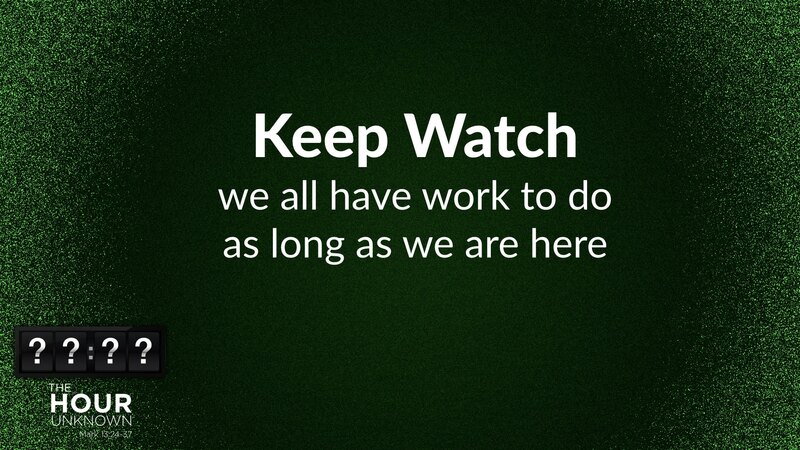 To encourage all of us in being engaged in the work that Jesus has given each of us to do. There is not one person here who does not have a part to play. 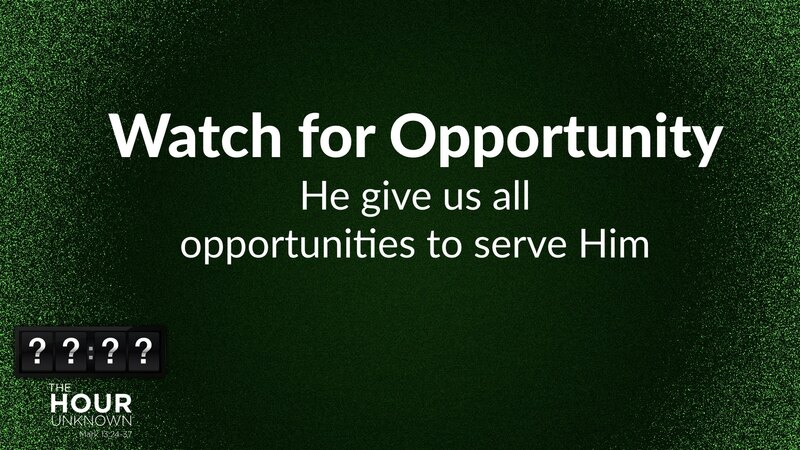 Our junior and senior high youth, and even our confirmands, are involved in ministry. At the other end of the spectrum, there is involvement as well. There is no age of retirement for Jesus’s disciples. Retirement is in heaven. When I visit homebound people, they often say, “Oh, I wish I could do something for my church.” I always tell them, “You can pray, you can be loving and share God’s love with those people who take care of you.” Those are all services that Jesus has enabled you to do for Him. 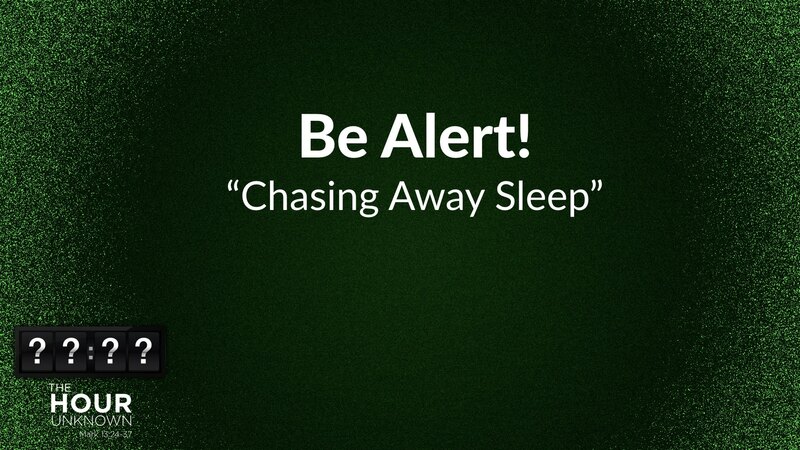 So how do I and the leaders of our church wake the sleeping giant? Do we call the synod office? Our Lord does that. All we do is lead the Lord’s people to show them, over and over again, that God’s love tattooed on the cross. 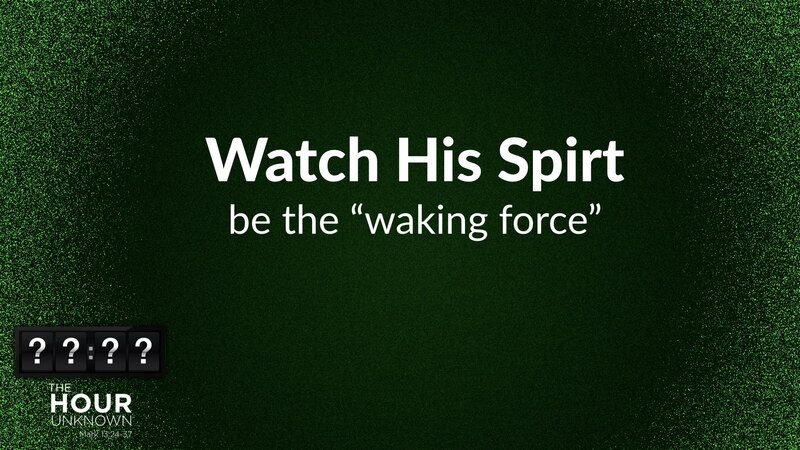 It is God’s Spirit that wakes the sleeping Giant in each of us. 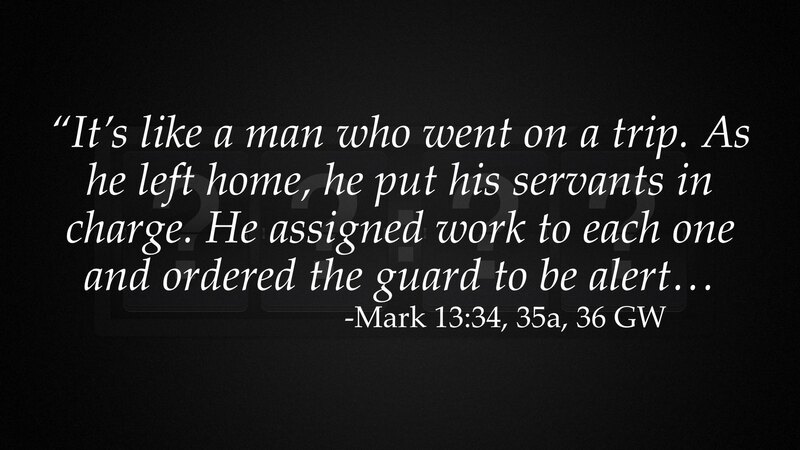 May that love rouse each of us to rededicate ourselves to the work he has given us to do before he returns. And as we get to work, may that peace of God, which transcends all understanding, guard your heart and mind in Christ Jesus. Amen.